BRISTOL - Homeless camps are not specifically a Bristol issue, said Mayor Ellen Zoppo-Sassu, but an “urban issue” which the city is actively seeking to address. Within the last month, homeless camps have been seen popping up at the Hoppers Birge Pond area, and even on the roof of the former Super Natural market building, according to Zoppo-Sassu. 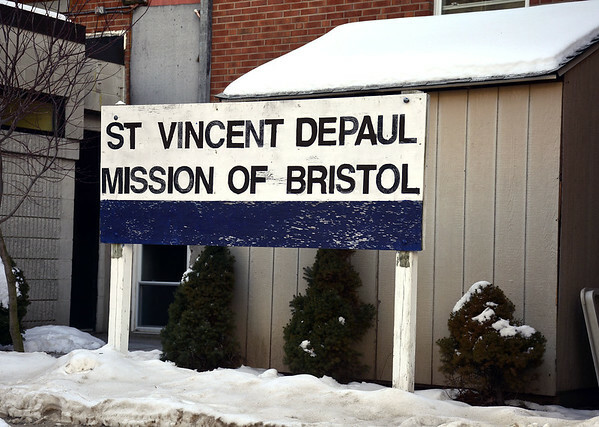 Once police identify homeless people in Bristol, they refer them to local service organizations. Zoppo-Sassu said that she has spoken with Mayor Erin Stewart in New Britain about similar concerns. The city has also adopted an ordinance revision that allows police to crack down on aggressive panhandlers and those impeding traffic. Zoppo-Sassu encourages people to call the police to report these situations.
. The Salvation Army, at 19 Stearns St., daily, from 9 a.m. to 2 p.m.
. Brian’s Angels, at 19 Jacob St., Monday-Saturday, from 1 p.m. to 5 p.m.
. The Bristol Library, at 5 High St., Monday-Thursday, from 8:30 a.m. to 8 p.m., Friday and Saturday from 8:30 to 5 p.m., and Sunday, from 1 p.m. to 5 p.m.
. The Manross Library, at 260 Central St., Monday-Thursday, from 10 a.m. to 8 p.m., Friday and Saturday, from 9 a.m. to 5 p.m.
. The Senior Center, at 240 Stafford Ave., Monday-Friday, from 8:30 a.m. to 5 p.m.
. The Salvation Army, daily, from 11:30 a.m. to 12:45 p.m.
Brian Angel’s, Monday through Thursday, from 1:30 p.m. to 2:30 p.m., and Friday-Saturday, from 1:30 p.m. to 4 p.m.
Posted in The Bristol Press, Bristol on Wednesday, 6 February 2019 21:01. Updated: Wednesday, 6 February 2019 21:04.